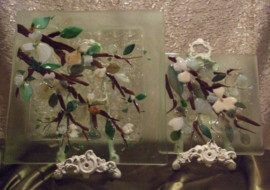 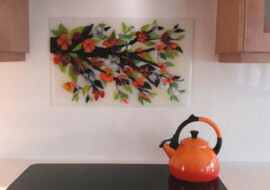 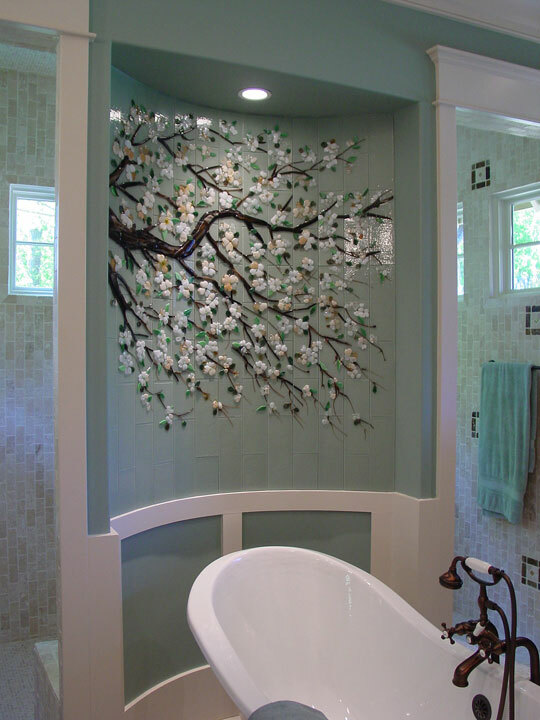 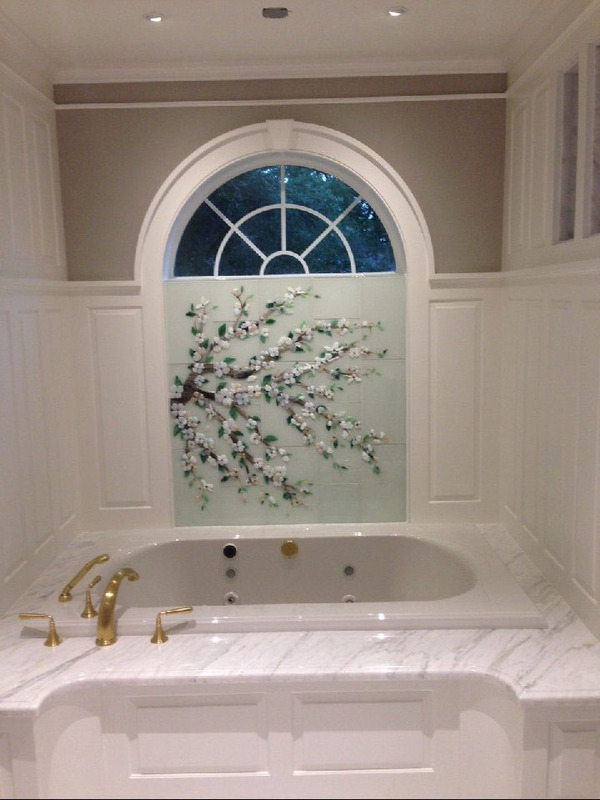 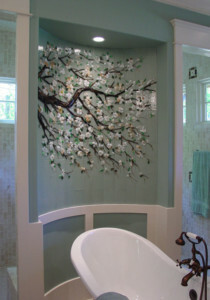 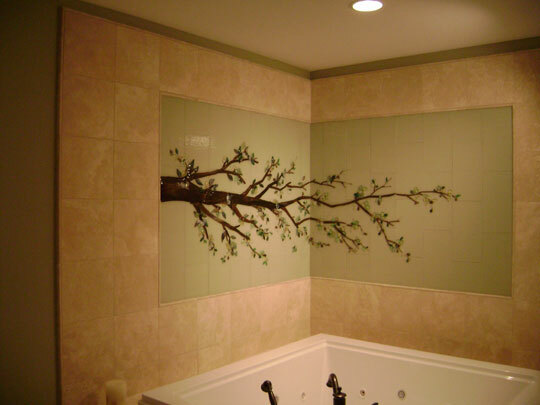 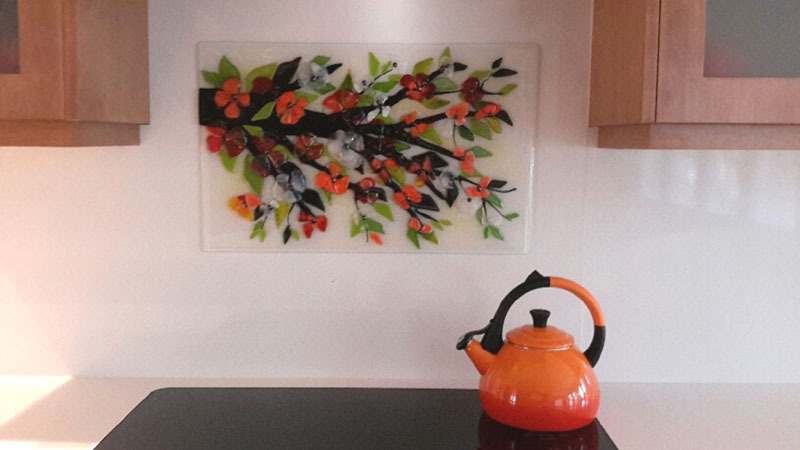 In concert with our Asian themed custom glass work we create glass Dogwood branch murals for applications in baths, wall murals, etc. 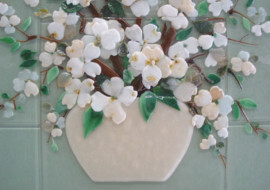 We can also coordinate matching dogwood themed platters. 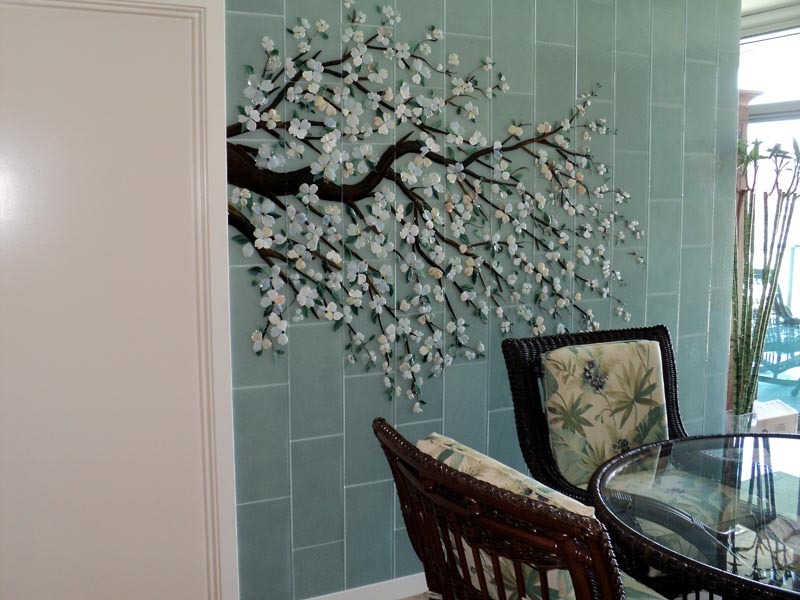 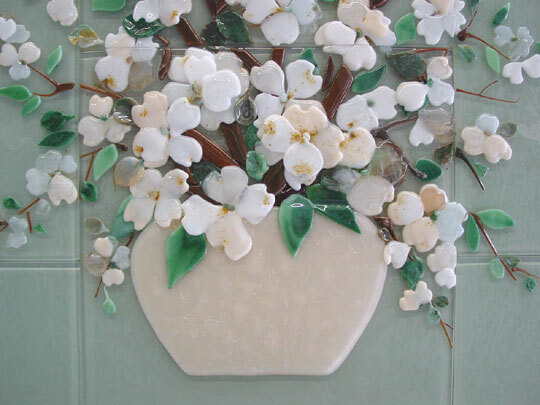 Our Glass Dogwood Tile Mural on a barrel wall in a master bath has been featured in numerous Home Decor magazines such as Southern Live and South Park Magazine. 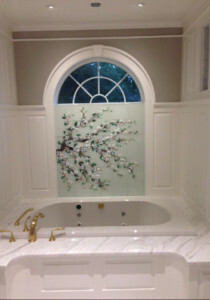 It was rated by the editor of Southern Living Magazine as her favorite master bath. 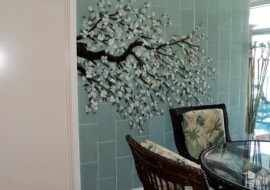 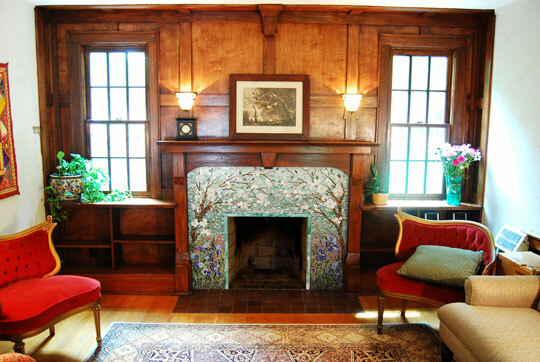 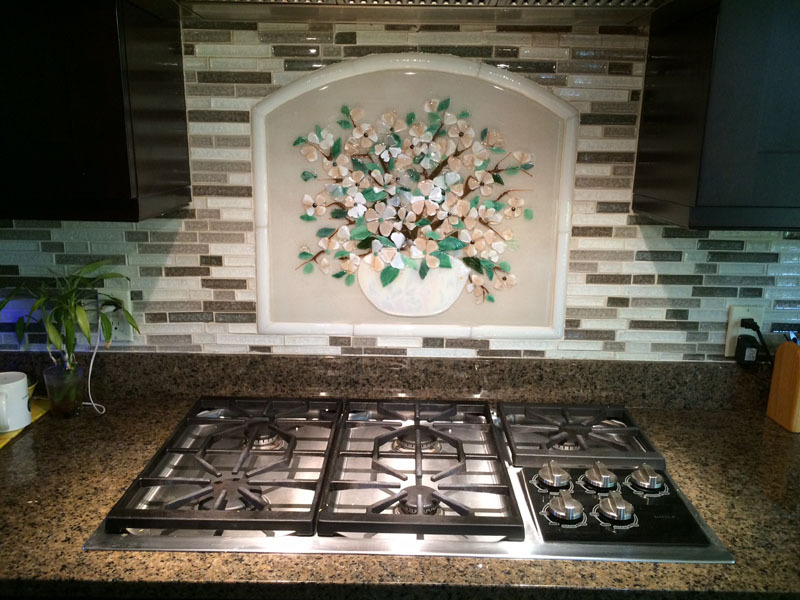 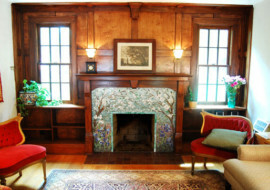 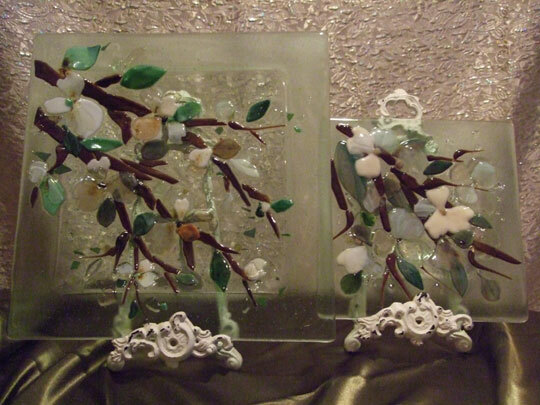 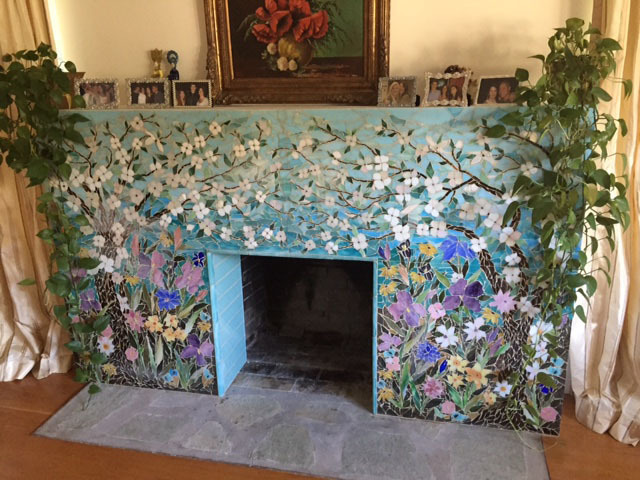 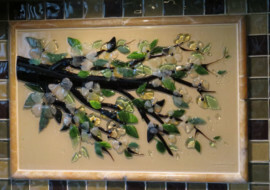 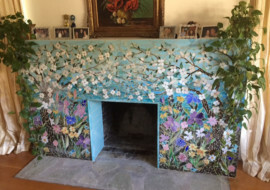 We have created glass mosaic tile murals as fireplace surrounds with an asian, dogwood branch theme with irises. 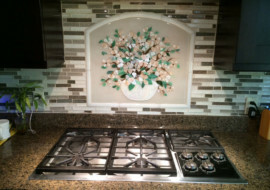 Each tile is hand-cut, glued to the substrate surface and finished with grout. 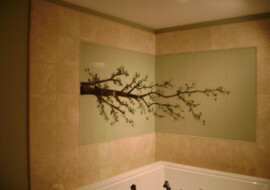 We also advise on best installation practices.